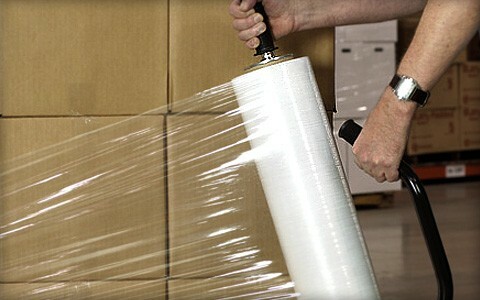 Hand stretch film or hand stretch wrap are films designed specifically to be manually applied. It's also called manual pallet wrap and hand wrap. This type of film is traditionally used in lower capacity packaging operations. 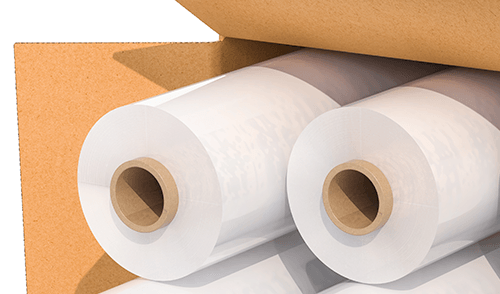 It's important for you to always evaluate the efficiency of manual stretch wrap against the possible benefits of upgrading to machine film wrap equipment. AAA Polymer offers an expansive list of hand stretch films to meet virtually every application need. Continue reading to learn more about hand stretch films available at AAA Polymer. As our best-selling, general purpose, hand-applied stretch film, this versatile film has unparalleled puncture and tear resistance with great cling, which makes it easy to use by both experienced and new employees. We carry a litany of standard sizes and gauges in our inventory to ensure you receive your hand film as quickly as possible. 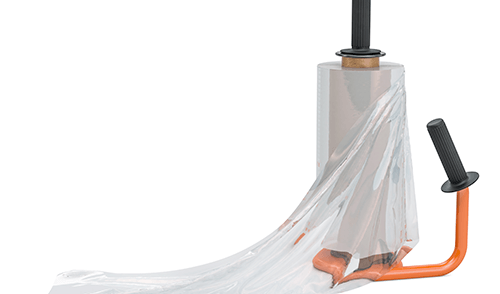 As the simplest solution for all hand-wrapped application, the stretch and toughness of our Classic Blown film ensures enhanced protection for regular and hard-to-hold loads. What Is Blown Hand Stretch Film? Blown stretch wrap or blown stretch film is manufactured through a blown extrusion process that uses a vertical die. Considered the higher quality of film for load retention, it has a higher stretch capacity as well as a higher load capacity. Blown hand stretch film may require significant force to load due to it naturally wanting to return to it's original size. However, once it is stretched, it's designed to stay tighter to the longer over longer periods of time. As a tear resistant film, blown hand stretch film is excellent for wrapping loads with sharp edges. Blown film is most likely to be used in lower capacity packaging operations. What Is Cast Hand Stretch Film? Cast film, cast stretch film, or cast stretch wrap is made with the process of cast extrusion and uses a horizontal die instead of the vertical die utilized in the blown process. Cast film offers excellent clarity and optics as well as great tear resistance, which is ideal for maintaining load unionization when tearing is a possibility. Cast film also offers a consistent cling and thickness. Due to the quietness of unwinding cast film, it's preferred for several operations that use stretch wrap machines. 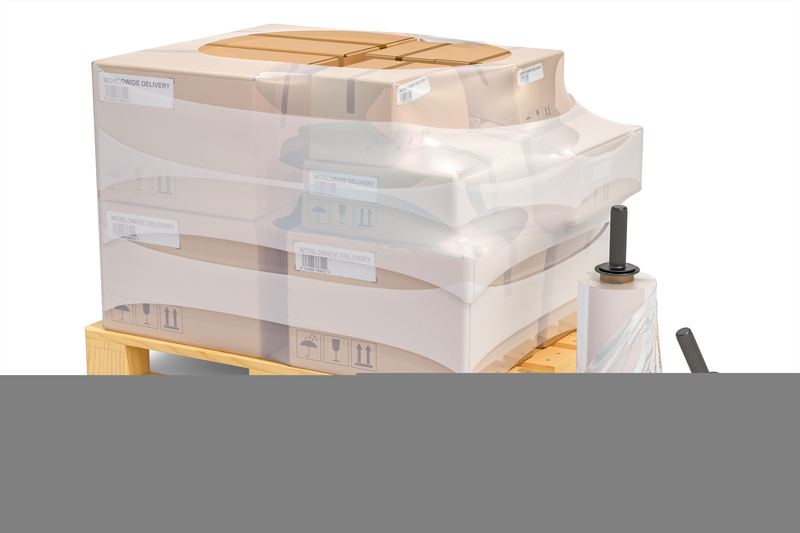 Cast stretch film is an ideal solution for securing loads with less fragile contents. With cling on both sides, cast film may stick to other pallets during transit. If this is a concern, AAA Polymer does offer one-sided cast stretch film for specific application needs. Comparing Cast Hand Stretch Film or Hand Blown Film? Whether you choose cast hand stretch film or blown hand film depends on your application needs. Both cast hand stretch film and hand blown film are offered with two-sided cling. However, we do offer cast hand stretch film with one-sided cling. As the tougher option, blown film has a much less chance of puncturing than cast film. This toughness is the result of the slower cooling process. Although blown film is stronger, cast film has a glossier, clearer finish. This transparency allows different types of scanning technology, such as RFID, to be used. In contrast, blown hand film is duller and hazier. Film Memory Minimal ability to return to original state after being stretched Higher ability to return to original state after being stretched. After leaving the dock, where does your skid go? How many variants of load does your business wrap? In addition, there are several other factors to consider, and the professionals at AAA Polymer can help. We will conduct a needs assessment to understand your business and suggest the best hand stretch or blown film for your business. Contact AAA Polymer today.